If you drive an RV and have heard of composting toilets, without completely understanding what these toilets are exactly, you have come to the right spot. I have done research on the subject to give you a clear overview of composting toilets for your RV. Composting toilets: what are they, how do they work, and are they a good idea? A composting toilet is a non-flushing toilet. The toilet typically runs on a three chamber system, dividing liquids and solids. The waste is then transferred into usable soil. The composting toilet is a good idea to use less water and minimize waste. If you are interested in learning more about how the composting toilet works and why it would be a good addition to your RV, then read on. A composting toilet is similar in looks to any regular toilet. There is no major difference in the look of a regular toilet and a composting toilet. However, the composting toilet is organic and will actually make your waste useful. With a regular toilet, your waste will simply flush into a sewer where it will simply stink and sit around without any real purpose. With a composting toilet, the toilet will transfer your solid waste into compost. 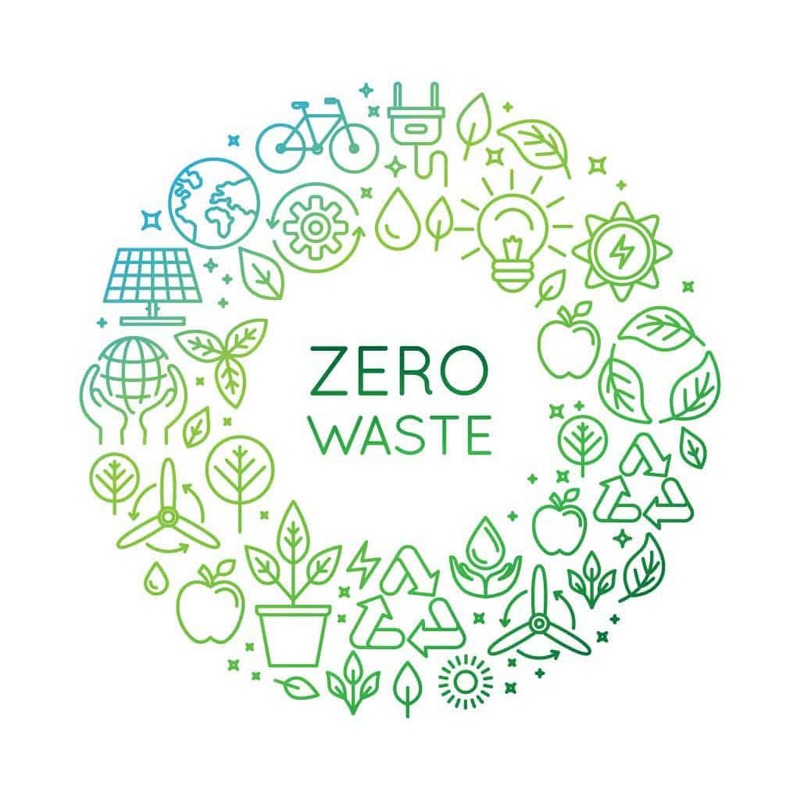 With your waste pile being broken down and reused, you will not have to worry about leaving waste. With the design of the toilet, you will not have to flush. You simply dump and leave. There is no water in the toilet bowl. You can use this toilet in almost any situation. 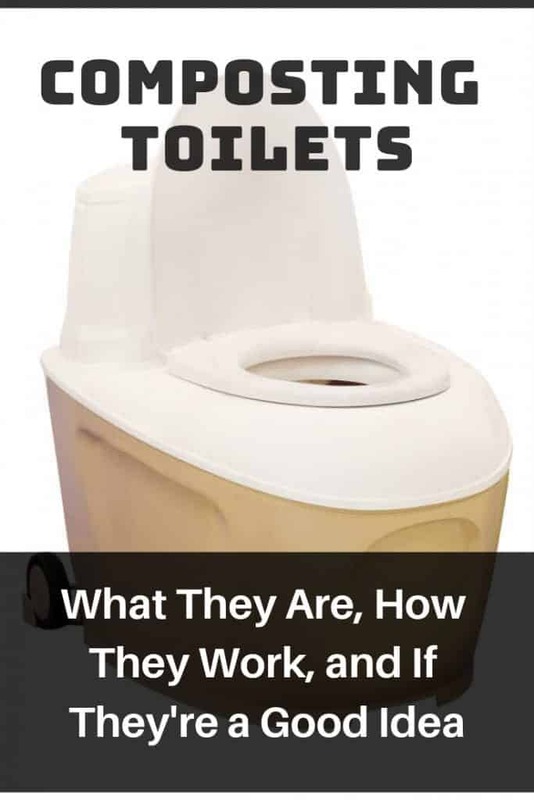 Although this article will specifically focus on composting toilets for RVs, you could have a composting toilet in a boat, tiny home, or cabin. These composting toilets are often compared to a porta potty or an outhouse. However, this comparison comes from those who have not used this toilet. I think most anyone has an awful view of porta potties or outhouses. They tend to look and smell disgusting, as well as they feel cramped. However, the composting toilet experience is different. With a composting toilet, the smell is contained, and it can look just as clean as your regular toilet. And, you can place the toilet in an open area or closed. Your choice. There are generally two styles of composting toilets: self-contained and central or remote. A self-contained composting toilet- with this toilet, the entire composting system is right there with the toiler. This composting system is typically located under the bowl. Central or remote- this toilet directs the waste to a central composter in a different location. This other location could be in a basement or outside. 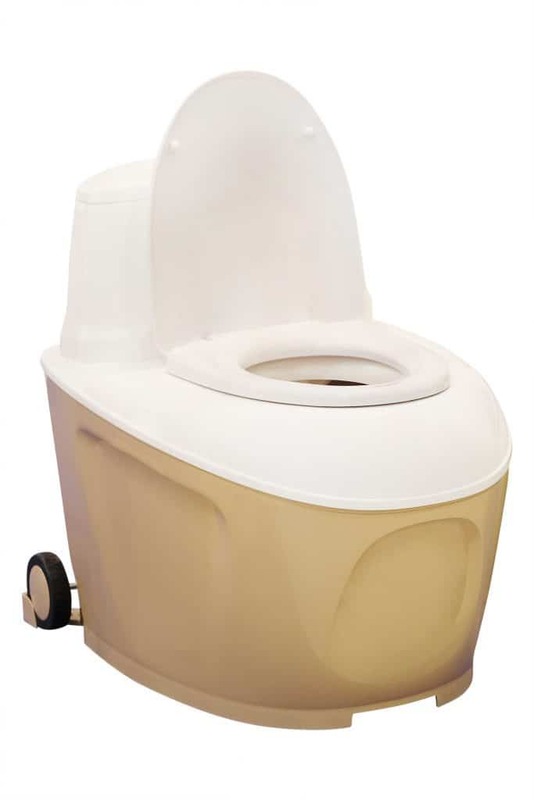 In an RV, the self-contained composting toilet is the style that is used. That is simply because your RV is on the move. Whereas in a home, you could easily hook up the toilet to outside, you can’t do that in an RV. It is easiest to use the self-contained toilet so the whole system is in one spot. A large worry about having a compost toilet is that the toilet will be stinky and you will be stuck with the scent of your waste. This is not true. Unlike a porta-potty where the waste just sits there, your waste will be converted into fertilizing the soil, which will lead to an odor-free toilet. In the toilet, there is sawdust and other materials that lead to an odorless experience. Although the conversion does not happen immediately, it will occur, leaving you with no waste. A composting toilet is not typically in an RV users RV. However, they are popular among those interested in limiting waste. The way that composting toilets work is fairly simple. You use the toilet just like you would in any other situation. You can also use toilet paper. However, it is better to get the toilet papers that break down easier. There is specific toilet paper for an RV or boat that would be good to use with your composting toilet. After you have used the toilet, as usual, you don’t flush. The toilet has its own system within itself that will start working immediately. The system separates liquids and solids (also referred to as pee and poop). The solids will then convert into the soil. This may sound very unappealing to some. However, it is no different than using cow manure. We have accepted that for ages. This is simply doing the same with our own waste. Why isn’t there are gross smell with composting toilets? Well, whoever invented the toilet was smart and thought about the design. As I mentioned, your liquids and solids will separate. Your solids are dropped into a lower tank, while your liquids will go into the front tank. With this separation, there is no chemical reaction from the mixing. Typically, when the liquids and solids meet, you will get a nasty smell. But the composting toilet separates them, leaving your bathroom smelling like any other room. Although, the smell is not completely average. Since there is soil involved, the scent is normally plant-like. This is a pleasant smell to some and just whatever to others. But, imagine going through a plant shop or nursery. That is the same scent you will have in your bathroom. Most of the waste will be liquid. It evaporates very quickly. There is a vent system which allows the evaporated liquid to get out into the air. Some systems include a separate urinal to skip the separation step and simply start to evaporate even quicker. Many of the composting toilets have a heating element included aids in the evaporation. This is a simple system that will take away from any liquid waste. Your solid waste can actually break down by itself. However, left on its own it would stink of your place and take a long time. However, with the composting toilet, there is added material. The added material is in hopes of aiding the composting process. Some typical elements that are added in are peat mix, sawdust, popcorn, and other additives. Not only do these additives assist in the composting process, but they also ensure the resulting product is safe for handling and use. The solid waste is simply used as soil after the process is complete. This system is actually quite easy to use. Many people that have been using composting toilets for a long time have found their own additives that are easiest for them to use. If you find an additive that is also scented well, that is even better. You can create your own little air freshener in your toilet bowl. In time, your composting toilet will need to be dumped out. Once it is has been used enough to be built up, it is important to unload it. This is the part that most people cannot get over. The main reason people do not use composting toilets is for this very purpose. 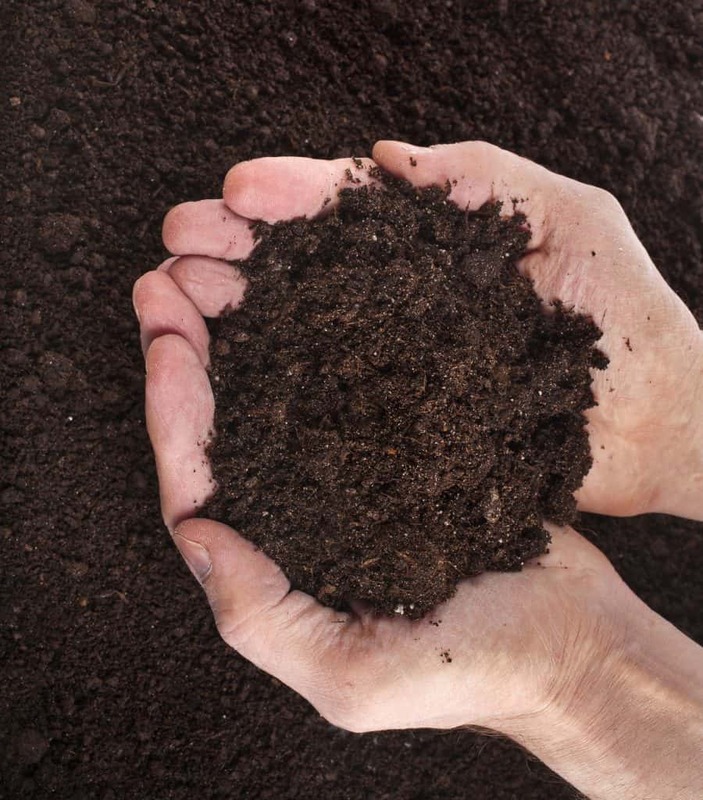 However, it may be helpful to know that this soil is actually very clean, safe, and easy to handle. The soil is similar to any other garden soil. You will not see or smell any remnants of your solid waste in the soil. Also, you can also use gloves and available real contact with the soil. How often you will have to dump out the compost varies depending on many things. The more people you have using the toilet, the more frequently you will need to dump the compost. Also, it depends on how much solid waste you have every day and how much toilet paper you use up. Typically, when you are using a toilet full time, you will only have to dump it out every 2-4 weeks. Once you have the compost, it is great plant food. You can use the compost for a great fertilizing tool. Although every toilet is laid out differently and it will work differently for different manufacturers, you can typically count on having a three-chamber design. With this design, each of the chambers is able to complete their own tasks. The design has been tested by many composting toilet users and has been satisfactory. By splitting the wastes and allowing each chamber to function, you get away with no smell and no waste. Is a Composting Toilet a Good Idea? This opinion will vary depending on the person. However, there are some clear wins with the composting toilet. For anyone who is interested in creating a no-waste lifestyle, then this is perfect for you. It is not uncommon these days to meet individuals who work hard to minimize their waster. Most people don’t think about the waste that comes out of them. 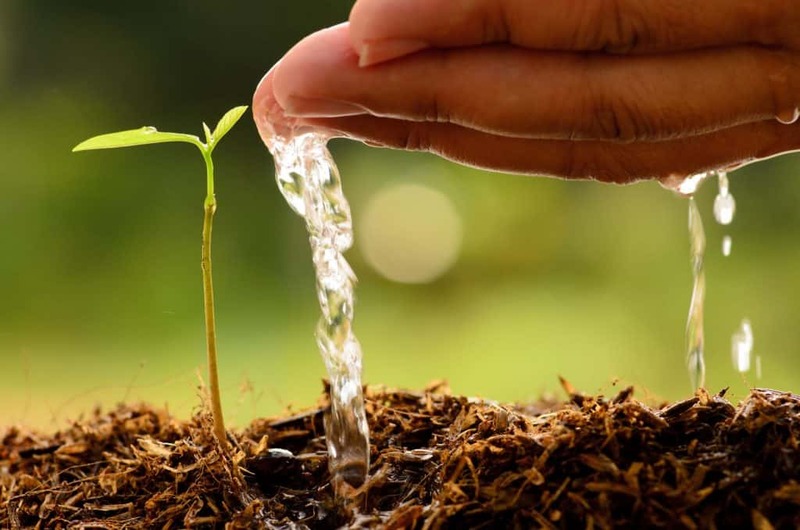 However, you can reuse this waste, which is extremely beneficial for soil. What are the advantages towards having a compositing toilet? You can save water usage. These toilets do not require water and will, therefore, save you from any extreme water usage. You can greatly reduce water usage with these toilets. There are little ongoing costs with composting toilets. Rather than regular toilets, which have frequent errors and plumbing problems, you will be fairly stress-free with this toilet. After the toilet is installed, you won’t have to buy much more than your additives. You won’t harm the environment. These toilets have no impact on the environment. You won’t have to use toilets that use chemicals to treat sewage. You don’t have to pay as much to install the composting toilet. In comparison to a regular toilet, a composting toilet will be far cheaper in installation. There is no smell. Composting toilets actually smell even better than regular toilets. Just make sure you are maintaining it correctly, and you will have a pleasant smelling bathroom. There are fewer worries. When you are not constantly using your RV, problems with the toilet will naturally arise. But, with the composting toilets, there aren’t any big issues that come up. What are some disadvantages of having a composting toilet? You will require the use of some power. Regular toilets with a traditional flush do not use power. But, with a composting toilet, you will need a fan running. They are more expensive. In comparison to regular toilets, the initial cost of composting toilets is more. (However, with other fees, the regular toilet becomes more expensive). You will have to take care of your waste. This is the largest reason people do not like these toilets. Who wants to touch their own poop? But in the end, it is just like soil. There aren’t many design options. If you are into pristine and beautiful, then the composting toilet may not be the one for you. There are a few designs, and each is simple. The pros and cons of this toilet are pretty even. This just means that the toilet is a close comparison to a regular toilet. I think that this toilet is good for you, depending on your personality. If you are prone to the easy way and are not interested in change, then this toilet is probably not for you. Unfortunately, it does require some maintenance taking out the compost. You will not enjoy the toilet very much if you are taking care of it and taking out the compost. However, if you are a person who is interested in minimizing waste and works hard, then this toilet would be great for you. The toilet will take some work, but it is worth it for all the water, energy, and environment that it saves. I like composting toilets a lot. I think they are a great way to reduce waste and reuse. By using this toilet and taking out the compost, I think it puts you in the perfect mindset to do good things for the environment. For me, I think the amount of times you have to dump out the compost is not too many. Those weeks will pass by fast before the duty arises again. For an RV, I think that this is a great option to use. Especially when winterizing an RV, you will find that the toilet can be a hassle to maintain. However, this composting toilet’s design and simple and easy to manage. I think that overall the pros outweigh the cons of the composting toilets. However, since they have not gained incredible popularity, they seem a little sketchy. But if you are interested in using a composting toilet, I say to go for it. Although I have given you an overview of what there is significant to know about a composting toilet and how it works, there is still some information I have not specified. So, if you are still interested in composting toilets, then hopefully this section will answer any of the questions I have not already addressed. Q: How do you empty a composting toilet? A: In most any composting toilet for an RV (self-contained composting toilet), there is a Biobag inside. This simply makes it easy to empty out your compost. All you have to do is grab the bag and take it out. Now, some bags may be heavier than others. It just depends on how often you are taking out the compost. Just make sure to wear gloves and even a dust mask. This will keep you fully protected. And, after you have finished, wash you hands. You should not feel dirty at all after cleaning out the compost. Q: Does the Composting toilet work with my RV if I don’t use it often? A: Yes, you can, in fact, use a composting toilet no matter how often it is used. You will want to make sure the fan stays on in order to prevent odors. With not using the RV often, your compost will have plenty of time to break down. Q: Can composting toilets handle other things like diarrhea and puke? A: Composting toilets are able to handle other things like diarrhea and puke. The process of division works the same for these. However, many people find it uncomfortable to puke into a composting toilet. It’s not that it is any different from any toilet puking situation. But, it is different to have your mouth near the toilet. Q: Is there such thing as a portable composting toilet? A: Yes, there is such a thing as portable composting toilets. However, they are not as nice as a regular composting toilet. A regular composting toilet is just like a typical toilet and is comfortable. However, there has not yet been portable composting toilets made that are as comfortable. A portable composting toilet is similar to an outhouse in comfort and design. Q: Do composting toilets attract bugs? A: Typically composting toilets not attract any bugs if you are doing it right. However, if you were to attract a bug it would be a gnat. Because everything breaks down so quickly, composting toilets do not often attract bugs. But, gnats will be attracted depending on the moisture level. You should always make sure that your composting toilet has enough moisture. This will mean adding water to the pile to make sure there is a dark brown color rather than light brown. As long as you are keeping the right levels of moisture, you should be clear of bugs including gnats. Q: How large is the composting toilet? A: There is a misconception with the composting toilet that they are large and bulky. If that was the case, they would not be a good choice for an RV. However, composting toilets are the same dimensions as any typical toilet. They look different in the bottom area. Rather than going in for an hourglass shape like regular toilets, most composting toilets maintain the same size all the way down. This is because your whole composting system is underneath the seat. So, they are not any larger than a typical toilet. But, they have a different look. Q: How much soil will come from a composting toilet? A: Typically, however much soil you are putting into the composting toilet is about the same amount as you will get back. Obviously, you will not get any more soil back than the size of the bag. But if you are interested in using your compost as plant food, there is enough for a mini garden. You will not be able to maintain a full garden with this, but it can help with a portion of it. Note: just do not use this soil for any food growing purposes. It will help the food grow, but you don’t really want it grown in that way. Q: Where can I dump out the liquids? A: There are many options for dumping out your liquids. However, you do not want to dump out your liquids on a privately owned land or in a stream. Some people dump out their liquids in a public restroom. Which, even though that still uses water, it will use far less by pouring days and days worth of pee in one flush. In general, use common sense when dumping out your liquids. If you do not think that you should be dumping out your liquids in a certain area, you probably shouldn’t. Q: Do men have to sit down to pee? A: When you are using a composting typically, more often than not, men do sit down to pee. The reasoning behind this is because men’s urine streams are strong. So, when more height and gravity is in the equation, the stream is even stronger. When there is that strong of a stream for a composting toilet, the pee will splash around the outside of the toilet, the seat, and even the floor. This is not an ideal situation for anyone using the toilet. So, out of courtesy, it is best to just sit down while peeing. Q: How does a composting toilet work while on your period? A: If the topic of blood or periods is gross to you, simply skip over this section right here. There are surprising no issues caused by your period in using a composting toilet. The blood simply goes towards the liquids section. However, if you are someone who has larger clots, then you may want to take some extra precautionary measures. All you have to do is take some water and pour it down to ensure that everything goes through cleanly. Q: How do you handle over-spray in the toilet bowl? A: With a composting toilet, it is actually easier to handle any over-spray. The toilet bowl is a bit larger, which will often prevent any overspray from happening. However, if there is overspray in the toilet bowl, then you do not need to worry. It will simply be in the bag that you will dump out. And, if you manage to get something on the toilet seat, then that’s okay. All you have to do is a grab a sanitary wipe or toilet paper and clean it off. Composting toilets will generally stay much cleaner than regular toilets. You don’t have to work about the cleaning process. All you have to do it dump it out. After all of this, hopefully, all of your questions have been answered about composting toilets. They are not extremely common. So, there are not too many people to turn to with questions about composting toilets, which is, unfortunately, a downside of composting toilets. However, as you use a composting toilet, you will become an expert yourself. They are not as hard of a transition as would be expected. If you do end up purchasing a composting toilet, I hope that you enjoy it. If not, I hope this information was helpful in giving you more information about composting toilets. Why do people switch over to composting toilets? The most common reason for using a composting toilet is for environmental reasons. With using composting toilets, water will not be wasted. Also, the composting toilets will decompose human matter into usable soil. The composting toilets are a safe way of minimizing personal waste. What are the best composting toilets? The most loved composting toilets are Nature’s Head, Separett Villa 9210, Sun-Mar Excel, and Sun-Mar Compact. These three brands are the most popular composting toilet brands. 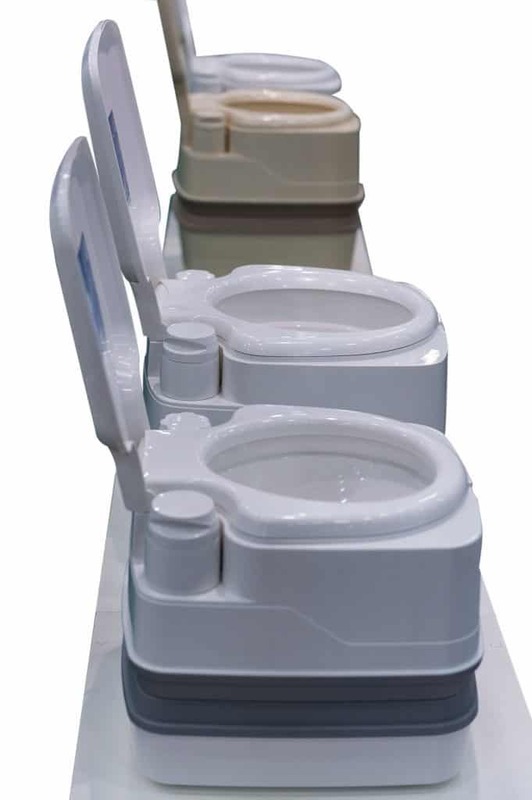 Each of these toilets is self-contained and would be perfect to fit in an RV. Do Composting Toilets use Water? Composting toilets are non-flushable, so they do not require water for that. But, they are not completely dry toilets. There is a certain level of moisture required for the process to work well. Water is used to maintain the proper amount of moisture in the toilet.